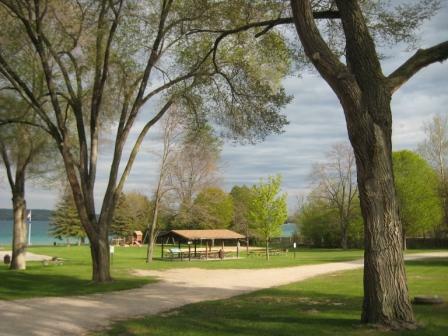 The Day Park offers plenty of picnic tables, grills, a play structure, a swimming/wading beach, and a boat launch on Torch Lake. Stroll out to the end of the pier and sit with your feet dangling. Just look for awhile. The park and its ADA-accessible restrooms are open daily from 9:00 am to dark all summer, and on weekends through October 15.